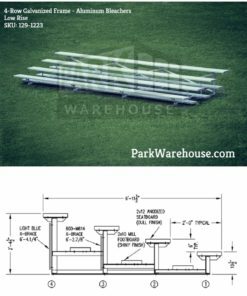 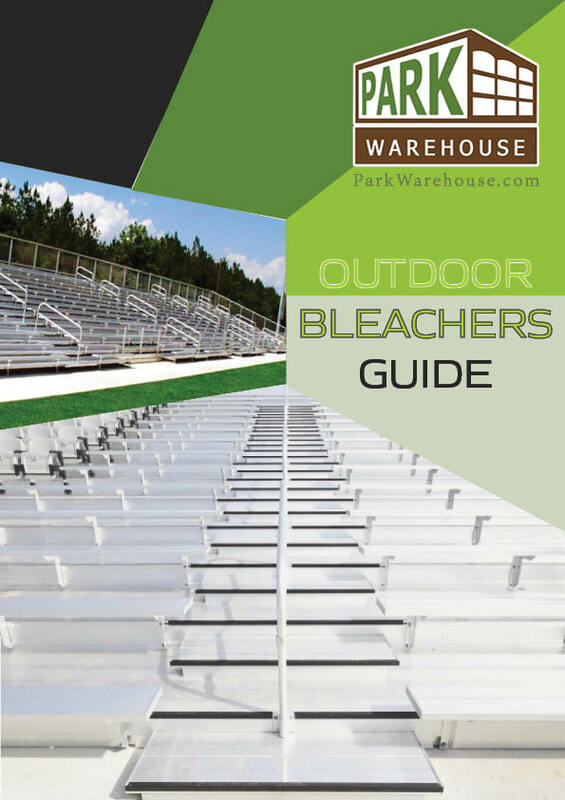 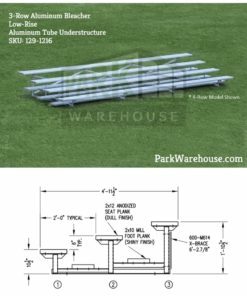 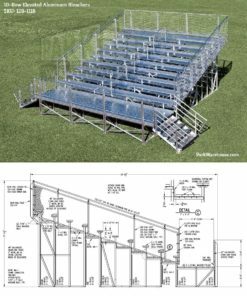 Vantage Point Series bleachers featuring 10 rows and available in a wide variety of popular lengths. 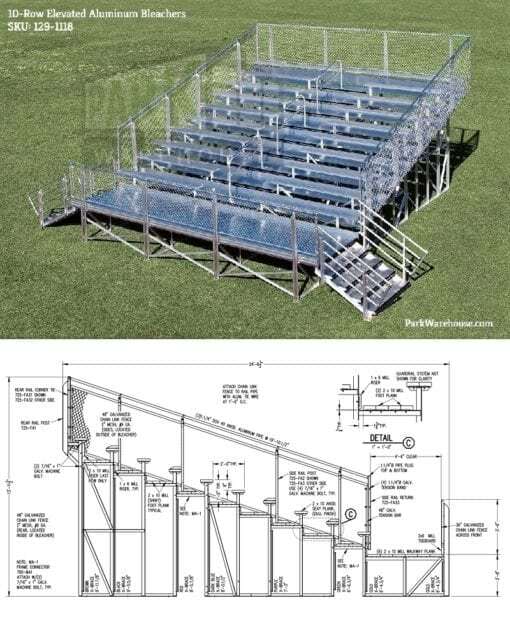 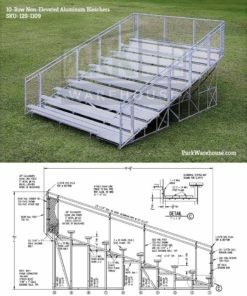 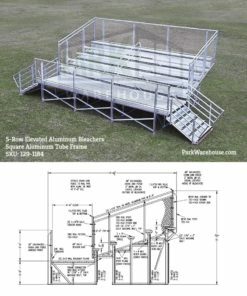 These bleachers are perfect for medium to large crowds, and have stairs leading up to the stands. These 10 row bleachers come at lengths of 21, 27, and 33 feet.